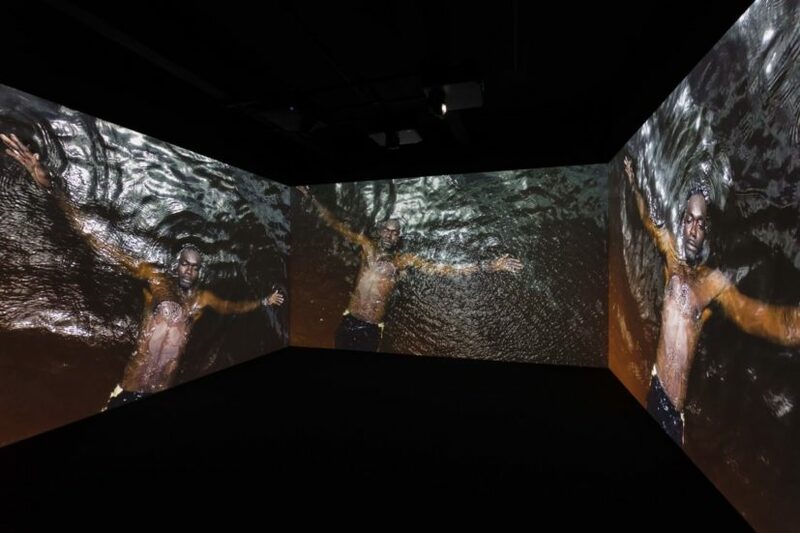 The Contemporary Art Society’s Collections Fund at Frieze has acquired Kehinde Wiley’s first film installation and two works – a cloak and mask that relate to her performance practice – by Zadie Xa, who has a solo stand in the Focus section of the fair. Both works will be donated to The Box, Plymouth, a new museum and art gallery opening in 2020 that brings together six of the city’s collections into one venue. 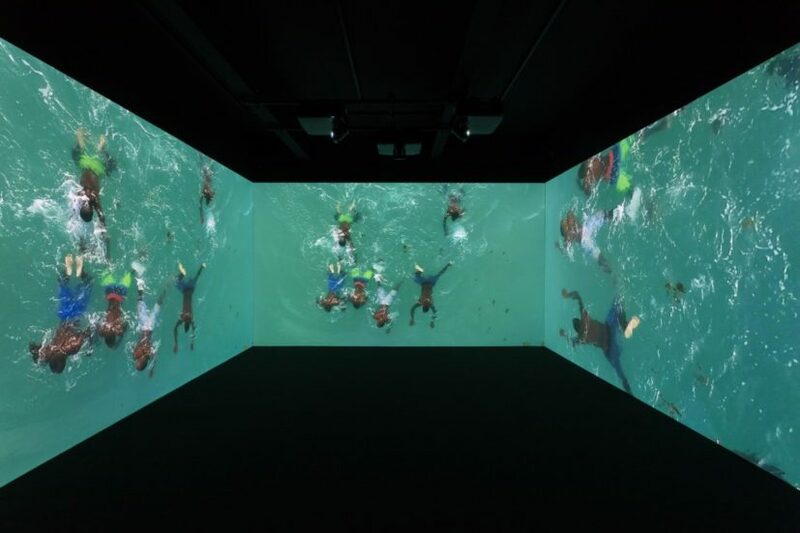 Narrenschiff (Ship of Fools), 2017 by Kehinde Wiley from Stephen Friedman Gallery is a three-screen digital film projection that produces an immersive experience for the viewer. 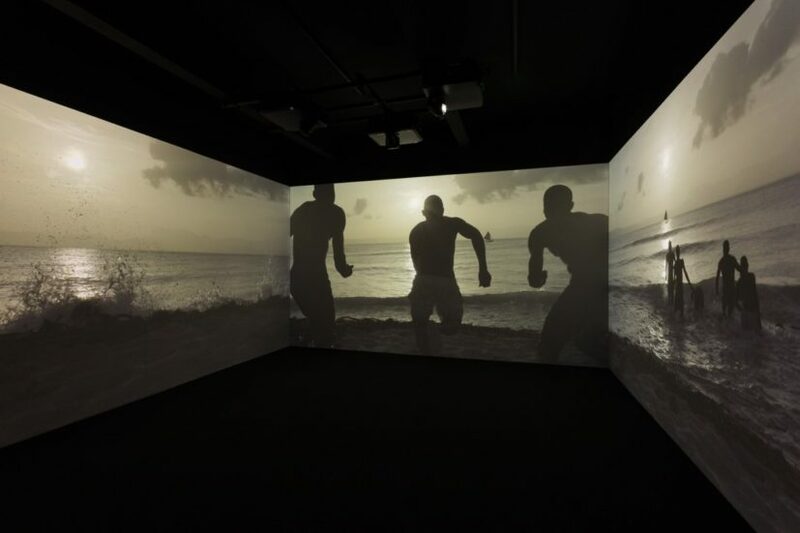 Wiley’s film is an emotionally affecting and visually compelling portrait of a group of black men at sea, capturing the full spectrum of the human condition. The film, which features an original score by composer Maxim Budnick, is narrated by acclaimed actress CCH Pounder who reads from Michel Foucault’s ‘Madness and Civilization’ and Frantz Fanon’s ‘The Wretched of the Earth’. The figures appear at one with the ocean, an enduring relationship throughout history, whilst suggesting wider concerns of international territories and governance. A mask (Xixho, 2018) and cloak (91 Chyzanthemumz 4 Imsook, 2018) by Zadie Xa from Union Pacific relate to the performance work that is at the heart of her practice. 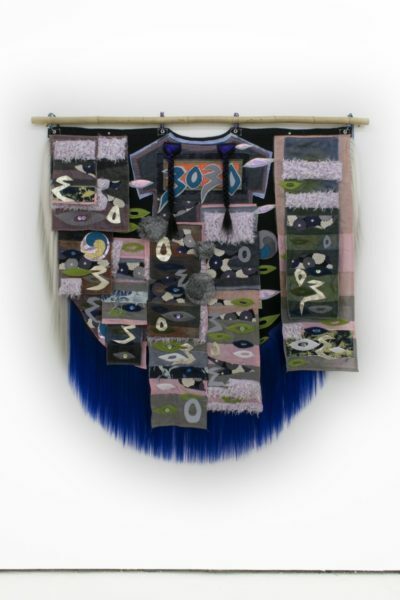 Xa explores her own identity and her outsider’s perspective of Korean culture through film and performance, textiles and painting. 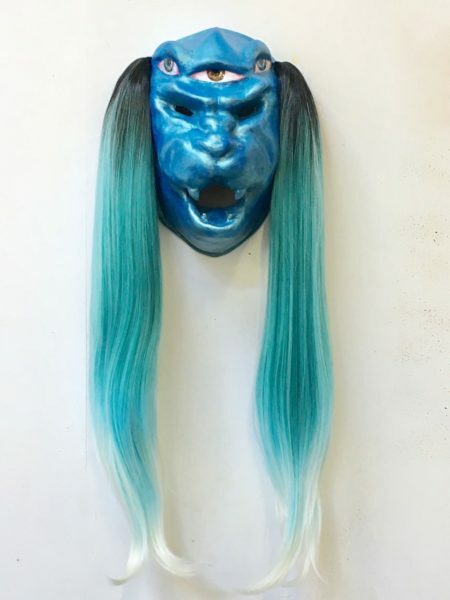 Korean shamanic practice, the experience of the Asian diaspora and contemporary street fashion all feature in her work. The intricately hand-sewn 91 Chyzanthemumz 4 Imsook stitches together familiar motifs such as yinyang symbols, knives, lucky numbers and monolid eyes. Xa uses these exaggerated symbols to both engage with Eurocentric perceptions of Asian identity and to create alternative, fantastical identity narratives. The three works, by two North American artists of different generations, explore questions of identity and belonging from different perspectives. They join a collection in Plymouth which has traditionally had a strong focus on portraiture, with Sir Joshua Reynolds being one of the most famous sons of the city. In recent years the CAS has donated works including paintings by Lynette Yiadom-Boakye and Ryan Mosley. 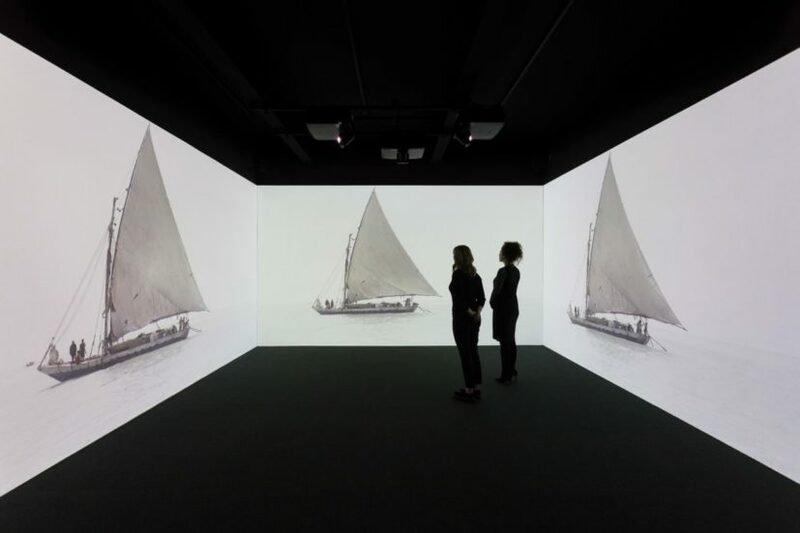 The opening of The Box will coincide with the 400th anniversary of the sailing of the Mayflower from Plymouth, a symbol of early European colonialism in North America. The Contemporary Art Society’s Collections Fund was set up in 2012 and is designed to support the acquisition of significant contemporary works for Contemporary Art Society Museum Members across the UK, drawing together the knowledge and experience of private collectors with that of museum curators. Nicola Moyle, Head of Heritage, Art and Film at The Box, Plymouth said: “With the wonderful permanent collection that Plymouth has, and the city’s links to famous artists such as Sir Joshua Reynolds, the way Kehinde Wiley’s work references the Old Masters and portrait painting tradition is really significant for us. Craft has a long and important history in the South West of England too which makes our Zadie Xa acquisition equally as important. Narrenschiff (Ship of Fools) is being shown in the viewing room at Stephen Friedman Gallery (Stand C9) and Zadie Xa’s works are on display at Union Pacific (Stand H1) for the duration of the fair.